South Africa is home to our very first project, the Carisbrooke school, and is dear to our hearts. An award-winning project, the Green Hub at Carisbrooke now serves as a template for sustainability for surrounding communities. The District of KwaZulu-Natal is now home to eight successful and independent HOW Global Green Hubs. Close partnerships with the leadership of each of these villages and local businesses and governments have allowed each program to flourish and evolve in unique ways we never anticipated. From water security to sustainable food production and growing community self-sufficiency, these clusters of villages are glowing examples of how the Green Hub concept serves as a platform for empowerment and sustainability. 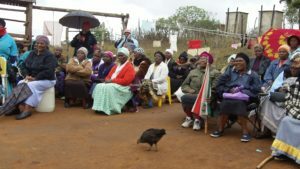 Most recently, we have completed a Green Hub project for the Grandmother Wana Johnson Group in the Eastern Cape with a new water well and solar pump. Young children and elderly women who care for orphans had been walking long distances to fetch water, and now have easier access to a much closer source of water. We also donated Hippo Rollers, an innovative product that eases water transport, which have also made their lives much easier. This completed Green Hub is now holding workshops and sharing information in the surrounding villages to one day create a cluster. 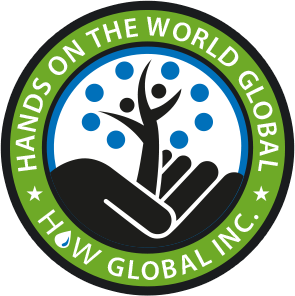 Additionally, we have begun partnering with a non-profit that supports newborn infant care and education, important trainings that will enhance this cluster’s resource pool.